I’ve admired the jewellery from Couture Kingdom for the longest time. I actually featured the product I’m about to review, in a wishlist back in June 2017. So they’ve been on my radar for quite some time now! It has been one of those things I wondered if it was worth the money, then just never got round to ordering. I definitely regret waiting so long now though, safe to say I’m happy with my purchase. I ordered the Minnie Mouse Rocks White Gold-Plated Headback Necklace, also available Gold Plated. The necklace cost £45.00 with free UK delivery as the total came to more than £40. The delivery is only £1.95 for UK delivery for under £40 which I think is very reasonable. The necklace came in just 2 days which I thought was incredibly fast delivery. I’ll start by saying that the packaging is simple, yet still beautiful. The necklace came perfectly wrapped. I was a little sad to unwrap it, it looked to neat and pretty! The packaging is beautiful, but I still felt that my purchase had been sufficiently protected. 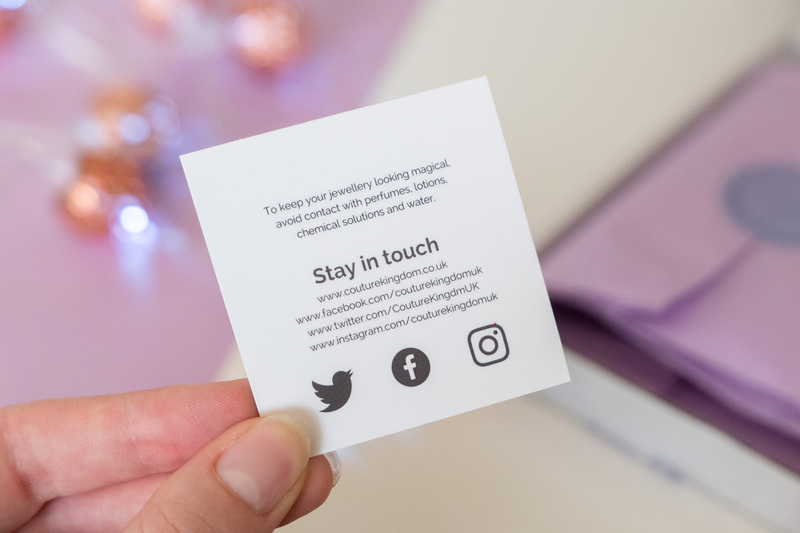 To start with they provided a little business card, with advice on how to care for your jewellery and details of where you can follow Couture Kingdom. I had no idea my necklace would come with a branded storage pouch. It was a lovely surprise and a generous extra! It is their gorgeous purple colour to match the branding and more importantly, good quality. I personally like to store my jewellery in a box to help prevent tarnishing, but I’ll be keeping my necklace within the pouch to keep it from getting mixed up with everything else. Now for the necklace! I’ll be honest I had high expectations for the necklace. I’ve been a fan of the brand for so long, I was worried when I finally made an order I would be disappointed. I am pleased to say, I love my necklace so much. 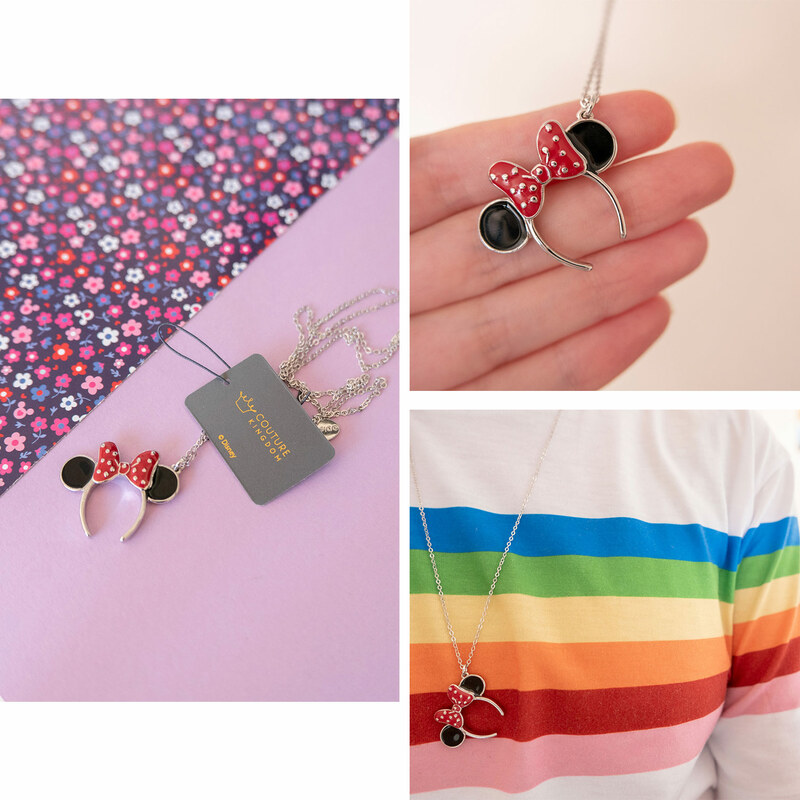 The design is perfect, I’m so happy that I can now wear Minnie Ears even when I’m not in the Disney Parks! The website shows that it is a longer length necklace, 60cm to be exact. I used the image on the product page as a guide for how the length would look, and I can say it is an accurate representation. The chain is a little thinner than I expected, meaning it is quite delicate. I personally prefer the look of the thinner chain, but it is something to be aware of. Overall, I am in love with my purchase. It makes me happy every time I wear it, and it is a piece that I would highly recommend. 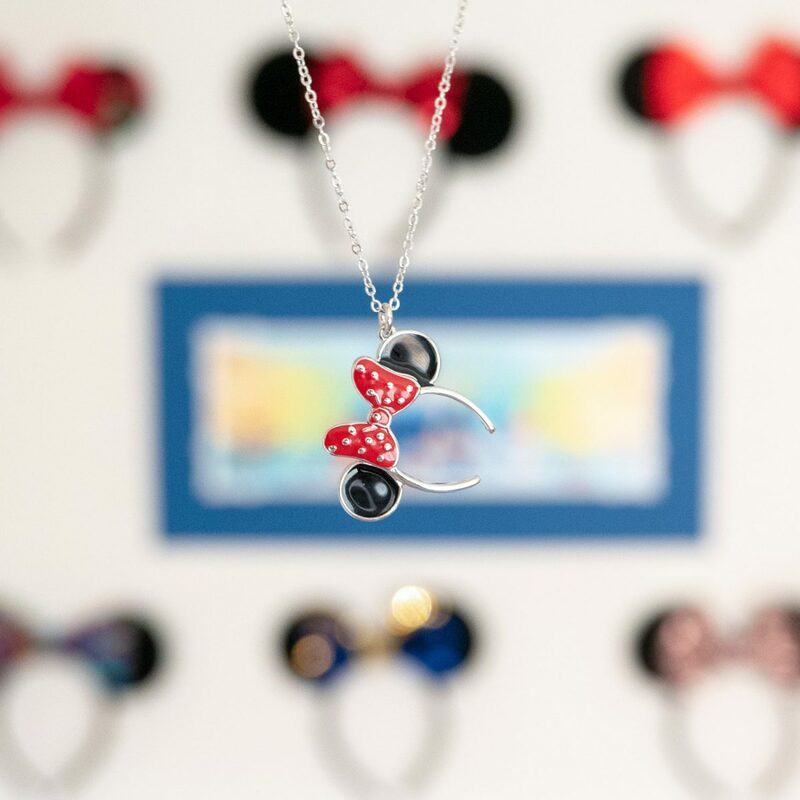 A beautiful piece, perfect for a Disney Parks fan who misses wearing their Minnie Ears. As I mentioned, you can find the necklace in White Gold here for £45. I can promise you’ll be seeing a lot of this necklace on my Instagram as I love it so much! I hope that if you are wondering whether to purchase this necklace, or a Couture Kingdom piece that this post has helped. 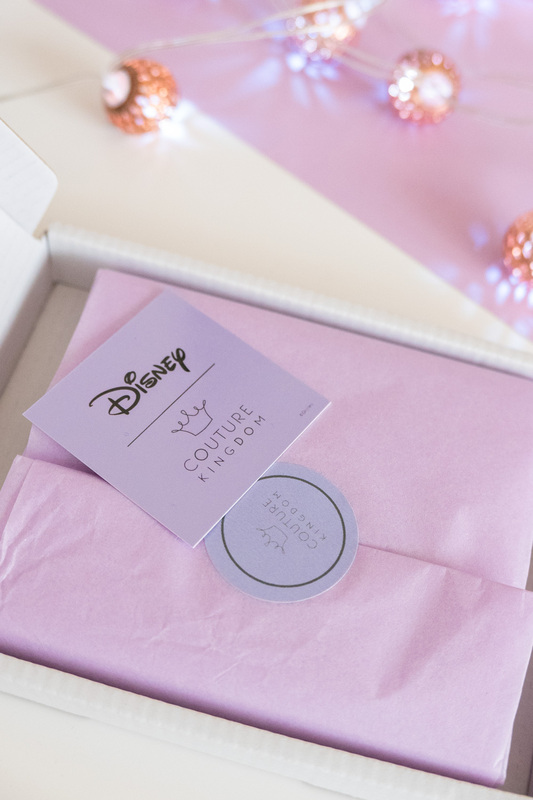 I’d love to know about your Couture Kingdom purchases in the comments!